Shifts and developments across key industries over the past few years are rapidly changing the way that the Central Highlands does business. This forum is designed to help Central Highlands businesses rise to the challenge of global economic changes. The event will look at how the region can capitalise on the green shoots of opportunity by working with rather than against emerging disruptors in digital technology, export markets and changing population demographics. The Economic Futures Forum will touch on regional industry growth, industry and businesses working together and building business readiness. Presenters range from local leaders who have met these challenges along with government and industry representatives who are setting the course for the future. Ask questions, make connections and create opportunities at our Beer and Business networking session. The Forum will also be an opportunity to launch upcoming major initiatives for CHDC; The 2019 Central Highlands Business Excellence Awards, Central Highlands Liveability video, the newly completed Central Highlands Visitors Guide and an exciting new online platform for employers and employees in the Central Highlands and Isaac Region - CQ JobLink. It is certainly an exciting time to be in business in the Central Highlands. 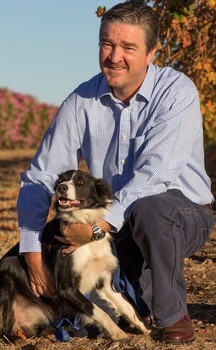 Councillor Hayes is currently in his 18th year in Local Government having been elected on three consecutive terms on the former Emerald Shire Council before being elected to the newly amalgamated Central Highlands Regional Council in 2008 for four year term, before being elected Mayor in 2016. Since being elected Mayor, he has strongly advocated enhancing economic development controlling costs, improving community engagement and creating a “regional” livability that will attract population to his region. Cr Hayes has served on boards relating to vegetation management, CBD revitalisation, planning and was chair of the Council’s Flood Recovery efforts in 2008 and 2010-11. Paul holds a First Class Honours Degree in Veterinary Science, a Bachelor of Animal Science (Research) and a Masters Degree in Strategic Foresight. Paul is a graduate of the Leadership Victoria Program. Paul is a venture philanthropy partner at Social Ventures Partners Melbourne, and lead partner for their first investment in 100 Story Building. Paul is also a Chair of the advisory board for the Future Business Council and has served on a number of commercial and not for profit boards. Paul writes and presents regularly on future disruptions to business models, and consults to a range of organisations on how to think about the future. He is currently co-authoring a book on the future of driverless vehicles entitled: Is Driverless Always More - How driverless vehicles will transform our economies and our societies. Mark Furner, Member for Ferny Grove has dedicated his adult life to serving local communities. Upon leaving high school his first job was in a state government run nursery. At the time little did he realise that these different sectors of the agriculture industry would be part of his responsibilities later in life. Mark moved from Chermside to Pine Rivers in the 1970s becoming a strong community voice in the local area and has been heavily involved in fundraising and volunteering ever since. In 2007, Mark was elected to the Australian Senate as a Queensland Senator where he served until June 2014. During that time Mark sat on a number of parliamentary committees including Law Enforcement, Health & Aging, Legal and Constitutional Affairs and Economics. Mark was also privileged to lead a delegation to Afghanistan as chair of the Defence Sub-Committee. At the 2015 State election, Mark was elected to represent the people of Ferny Grove in the Queensland Parliament. In February 2017, he was promoted to the Cabinet as Minister for Local Government and Minister for Aboriginal and Torres Strait Islander Partnerships. Having retained his seat in the 2017 State election Mark has been appointed Minister for Agricultural Industry Development and Fisheries. Since then he has travelled more 40,000km around the state listening to the stories of primary producers on the land, often around the kitchen table with a cuppa in hand. These discussions have formed the basis of various decisions that have been and will be made during this term of government. Brad Foster is GrainCorp’s Regional Operations Manager for Queensland based in Toowoomba. Brad has 20 years’ experience in the grains industry incorporating positions in Fertiliser distribution; Technical Services & Quality; Grain Marketing; Supply Chain Operations and Strategy across Port and Country operations in New South Wales and Queensland. Brad completed a Bachelor of Agricultural Economics at the University of New England, Armidale. He is currently responsible for leading the Operations of GrainCorp’s country sites in Queensland. Sandra took up the position of General Manager with the Central Highlands Development Corporation shortly after arriving in Emerald in 2009, bringing to the role extensive experience in a diverse range of in small business and agribusiness, government and community services, specifically in rural and regional communities South West Qld and the Darling Downs. Sandra’s previous experience in the Not-for-Profit Sector and her involvement as a non-executive director with a number of regional and community organisations and boards in the Central Highlands reflects her commitment to actively contributing to regional growth with a focus on new and emerging services in economic and regional development, health and tourism. Kym Hellmuth is co-owner with husband Tony, of HEME; an Emerald based engineering company servicing Agriculture, Civil & Mining industries within the Central Highlands. Since 1997 Kym has been pivotal in HEME’s growth into an award-winning leader in Manufacturing and winner of the Business of the Year 2013, 2015 and 2017. Kym also formalised her years of experience in directing HEME by completing a Diploma of Management in 2013. One of Kym’s greatest achievements and key focusses has been establishing systems and adopting continuous improvement practices throughout the business. Kym has singularly been responsible for the introduction of a computer based manufacturing program which has resulted in HEME having increased productivity providing ‘real time’ management information. This has enabled HEME’s continuous growth and development. Kym is a mentor for the local Marist College Business students. She is a strong supporter of utilising government provided resources to draw on the wealth of knowledge they are willing to share. She is an advocate for her Emerald community and supports local business, not for profit organisations and sporting clubs. Ian Payne is the Director and owner of locally owned and operated GeoRadar. GeoRadar Australia began 10 years ago in the family garage with just a desk and a laptop whilst working as the National Sales representative for a ground penetrating radar company. During this time, he travelled the world and studied with one of the best GPR technicians in Europe. His learning and experiences in the GPR and locating equipment industry inspired him to begin his own business. He purchased a small hydro excavation trailer and GPR cable locator and began to market a service to “fill the gap” in the industry that he identified within the Central Highlands. Today the business has a branch in Emerald and a branch in Bundaberg. With a fleet of 2 x 5000 hydro excavation trucks, utilities, 3 x GPR units; GeoRadar plays an integral part in the industry, making the invisible visible. Since retirement last year, Ian plays more of a mentoring role in his business and will continue to guide and direct his valued employees. Michael joined the Queensland Treasury Corporation (QTC) in February 2010 and currently heads up the Economic and Market Research team. His team is responsible for analyzing and interpreting developments in the economy and financial markets to help better inform the decision-making process of QTC’s board, its clients and the portfolio managers within the funding and markets division. Before joining QTC, Michael spent five years as an economist at the Australian Treasury in Canberra where he worked on the federal budget and on revenue forecasting. Ian Macfarlane is the Chief Executive of the Queensland Resources Council, a non-executive director of Woodside Petroleum, the Chairman of the Innovative Manufacturing Co-operative Research Centre, a member of the University of Queensland Rural Clinical School Toowoomba Community Advisory Committee, and a Fellow of the Australian Institute of Company Directors. Ian was elected to Federal Parliament as the Member for Groom in October 1998 and is Australia’s longest serving Federal Resources and Energy Minister and the Coalition’s longest serving Federal Industry and Innovation Minister with over 14 years of experience in both Cabinet and shadow ministerial positions. Ian has extensive experience across the resources and energy, agribusiness, science and innovation, skills and training and manufacturing and industry sectors. Ian retired from the Federal Parliament in May 2016. Before entering federal politics, Ian was one of the country's most active agripoliticians. He previously farmed peanuts, sorghum and wheat, and ran cattle in Queensland's Burnett region. Ian was President of the Queensland Graingrowers Association for seven years, President of the Grains Council of Australia for two years, and simultaneously held executive positions on the Queensland and National Farmers' Federations. Ian is married to Karen and has two adult daughters. He lives in Toowoomba, Australia's largest provincial inland city. Cameron Vorias is Managing Director and Chief Executive Officer for Sojitz Coal Mining Pty Ltd, a fully owned subsidiary of the Sojitz Corporation in Japan. The Sojitz Corporation is a diverse trading business with over 20000 employees worldwide and was the first of the main Japanese trading houses to enter into full scale coal mine ownership and management when it acquired controlling interest (96%) of the Minerva mine in central Queensland in 2010. Cameron joined the corporation in 2010, primarily to establish the operating company and to manage Minerva as well as support other JV assets particularly in Indonesia. 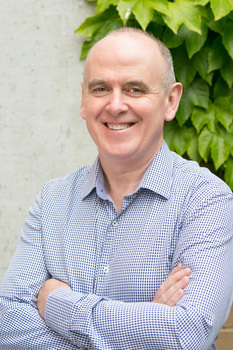 Prior to Sojitz, Cameron has worked for a diverse number of mining companies including COO (Queensland) for Peabody Energy Australia, COO-QCoal, General Manager Queensland for Excel Coal, General Manager for New Hope coal including the construction and management of the New Acland Mine in the Surat Basin in Queensland. Prior to this Cameron worked 15 years for Shell Coal and Anglo coal and BHP Iron Ore.
Cameron is also a Director for Futura Resources, an emerging coking coal producer in the Bowen Basin. Cameron is a Mining Engineer with over 30 years of experience (predominantly in coal & iron ore) and also holds a MBA (Tech) from the UNSW. He is also a graduate of the Australian Institute of Company Directors. Before joining Council early last year, Daniel has had diverse experience working in both public and private sectors spanning resources, psychology and community development. Daniel is a member of a number of committees, including Federal and State government on innovative policy and funding design that is effective in delivering smart solutions to Australian communities. Annette is the Branch Manager of LandMark White (formally Taylor Byrne Valuers) based in Emerald. LandMark White (LMW) Limited purchased all the issued shares in Taylor Byrne Holdings Pty Ltd in late 2018. LMW is one of Australia’s largest and most highly skilled independent property valuation and property consultancy firms publicly listed on the Australia Securities Exchange. With offices across Australia and with over 400 staff, LMS offers a wide range of services which includes commercial, rural and residential valuations, research and property advice. Annette has over 20 years’ experience in the valuation industry with extensive knowledge of residential and commercial valuation. In addition, Annette along with her husband Peter also own and operate Peter Smith Builder Pty Ltd a local building company that has been operating since 2002.
in the Central Highlands undertaking this duty from 2013 to mid-2017. (CHRRUP) and various local not-for-profit boards. Tracey is the Chief Executive Officer of C-Res, a cost-neutral entity that works directly with BHP, BMA and BMC delivering on their local procurement strategy and administering their Local Buying Foundations. With two Master’s degrees under her belt, Tracey has had an extensive career in education and training, project management and business in both government and private industry.